For general borough purposes, the sum of 3.75 mills on each dollar of assessed valuation. For the purposes of making appropriations to fire companies within the Borough; for the purchase of fire engines, fire apparatus, and fire hose for the use of the Borough; for assisting any fire company in the Borough in the purchase, renewal, or repair of any of its fire engines, fire apparatus, or fire hose; for the training of fire personnel; and/or for payments to fire training schools and centers: the sum of 0.08 mills on each dollar of assessed valuation. The total tax levy on assessed property is equal to 3.83 mills on each dollar of assessed valuation. The Borough levies an Earned Income/Net Profits tax of 1% of gross compensation and net profits. One half of this one percent collected from residents is turned over to the East Penn School District. Earned Income Tax is usually withheld by your employer, and will appear as a payroll deduction for local or city tax. THE EARNED INCOME TAX IS COLLECTED BY BERKHEIMER TAX ADMINISTRATOR. All persons employed or self-employed within the Borough of Alburtis are required to pay a $52.00 Local Services Tax annually. EMPLOYERS are required to withhold this tax from all persons employed within Alburtis, unless the employee shows proof that the tax was paid elsewhere for the same year. SELF-EMPLOYED PERSONS (who work in Alburtis, regardless of where they live) must pay this $52.00 tax. 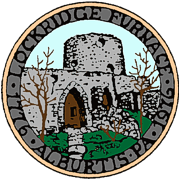 An annual per capita tax of Ten Dollars ($10.00) is assessed upon each resident of the Borough of Alburtis eighteen (18) years Bills. The Borough Office Staff shall send tax bills to each person liable for the payment of the tax imposed under this Chapter on or before February 1 of each year. Failure to receive a bill from the Tax Collector shall not relieve any person of his obligation to pay the tax due under this Chapter. This tax is due on or before March 31 of each year. If the tax is paid on or before the last day of February, the amount owed is $9.80 (this reflects a two percent early payment discount). If paid after March 31, the amount due is $11.00. 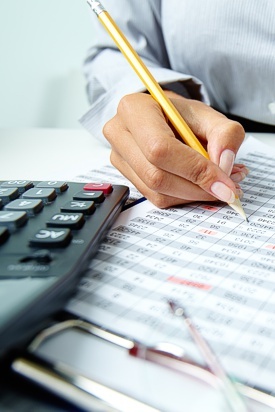 Failure to pay the tax will result in it being turned over to collections. If you receive a tax bill and no longer reside in the Borough, a moving permit must be received by the Borough in order to have your name removed from the database. The tax collector is responsible for the Borough of Alburtis and East Penn School District real estate taxes. Borough real estate tax bills mail on or before April 1st. The net period is April 1 – May 31st. The East Penn School tax bills mail on or before July 1st. The net period is July 1 – August 31st. For County real estate bills, contact Lehigh County Fiscal Office at 610-782-3112. Taxes are due and payable, whether or not a tax bill is received. All bills are sent to the homeowner. If your taxes are paid by your mortgage company, it is your responsibility to forward the bill to them. To qualify for the discount or payment at face (gross) period, payments must be postmarked OR received at the tax collector’s office by the last day of the period. NO Personal Checks will be accepted after Dec. 15th. Cash, Money Orders and Cashier Checks ONLY. Credit Card checks will NOT be accepted after October 31st. Final acceptance date is December 31st. After that date all unpaid taxes are turned over to Tax Claim. Drop Box Available at 463 Thomas St, Alburtis. Answering Machine: 610-587-0192 – Leave a message. Email: samanthatrexler.tax@gmail.com – Best way for communication.